Now that Android 5.1 is out and Verizon is officially selling the Nexus 6, we thought we should revisit a pain point that early Nexus 6 adopters had while using the phone on Big Red’s air waves – missing simultaneous voice and data. As it turns out, the 5.1 update may have fixed this even without Verizon issuing their VoLTE service, known as Advanced Calling 1.0. As a little background, understand that Verizon’s last wave of devices from 2014 all shipped without the ability to “surf the web” (use data) while on a phone call. Verizon instead was issuing software updates after the fact that enabled simultaneous voice and data on these phones through Voice-over-LTE (VoLTE). They call it Advanced Calling 1.0 and HD Voice. The Nexus 6 on Verizon is supposed to receive an update with Advanced Calling 1.0 at some point, though we aren’t sure when exactly they plan to make that happen. A reader tipped us this morning to simultaneous voice and data working on his unlocked Nexus 6 with a Verizon SIM, so we decided to test it ourselves. If we can skip Verizon’s Advanced Calling 1.0 and take advantage of the feature on our unlocked Nexus 6s, all the better, right? Guess what? It works. 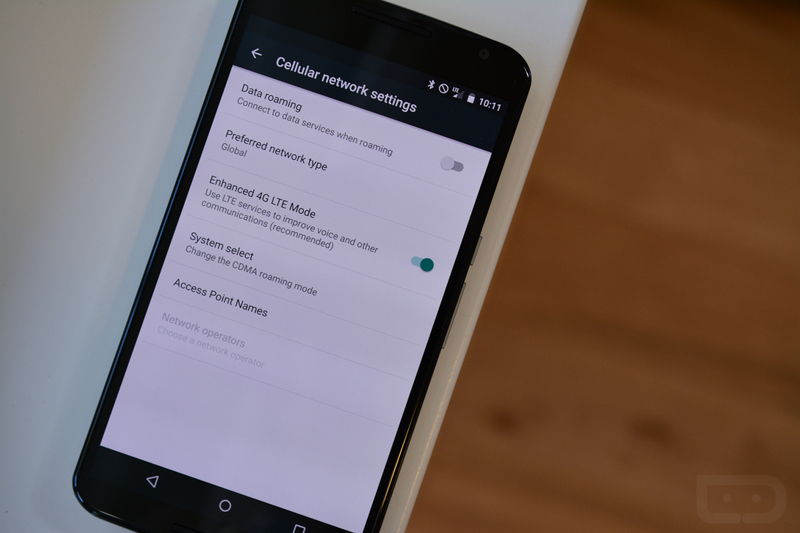 After updating your Nexus 6 to Android 5.1, you will find a setting hidden inside a Phone Settings menu that allows you to enable VoLTE and then an “Enhanced 4G LTE Mode.” With both of these options toggled on, you can then make calls and “surf the web.” Glory! In order to enable the setting on your phone, head into the dialer and type in *#*#4636#*#*. When you hit that last *, your phone will jump into the hidden settings menu. 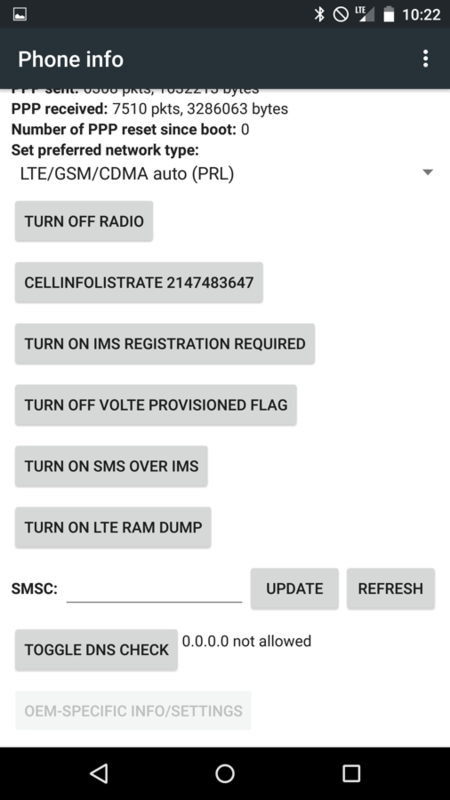 Choose “Phone info” and then scroll down until you see an option for “TURN ON VOLTE PROVISIONED FLAG.” Tap that and then reboot your phone (I had to reboot twice for some reason to get it to work). 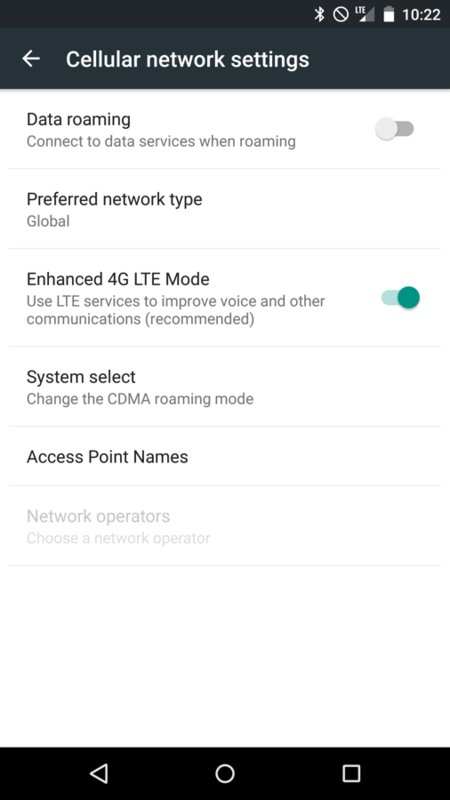 Once booted, head into your phone’s regular settings menu, tap on “More” under “Wireless & networks,” then “Cellular networks.” You should now see an option for “Enhanced 4G LTE Mode” and it should be toggled on. Edit: There is a chance that you may need HD Voice added to your Verizon account. To do that, you will need to sign-in to your Verizon account and add the feature, which is free. Go ahead and place a call with WiFi off and see if you can access a web page or an app that uses data. All good? In order to keep this functionality, you will need to leave Enhanced 4G LTE Mode turned on.